We have great organizational skills and always dot the i’s and cross the t’s. We keep track of ongoing submissions, contracts and publications, give the publishers, agents and authors we represent as well as the publishers we sell to and all the literary scouts in our network updates when needed, and never leave anything unfinished. Read more about the tools that helps us stay on top of everything. 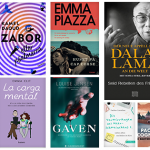 The 2 Seas team consists of passionate readers, and we are happy to put our enthusiasm for books, (re-)discovering authors, languages, traveling and networking at the service of our clients’ international publishing aspirations. Nothing is more valuable in international publishing than establishing personal relationships. 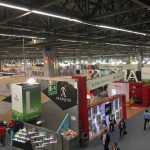 That is why 2 Seas Agency regularly participates in international book fairs, including those in Frankfurt, London, Beijing, Rio de Janeiro, Sharjah, Moscow, Leipzig, Guadalajara and Book Expo America. Besides, we believe it is of vital importance to visit our clients at their office in order to enhance our knowledge of their particular sphere of activity and interests, and regularly visit publishers in among others Amsterdam, Paris, Barcelona, New York, Berlin, and Munich. Since the launch of 2 Seas Agency in 2011, we have been writing and sharing articles and blog posts containing useful information for the international publishing community, most recently with the help of our co-workers. 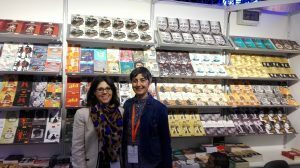 The most popular page on our website is our International Book Fair Calendar, which is updated regularly. Other widely read pieces cover foreign withholding tax on royalties, including an overview of international tax treaties that we often update, a listing of international translation grants, impressions of specific publishing markets following my and my team’s many international business trips, and interviews with publishing professionals around the world. One of our most recent articles at the time of writing (December 2016) includes a detailed, 72-page overview of the Dutch publishing market, based on a 1.5-hour live webinar Marleen held for Livres Canada Books in September 2016. 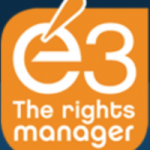 We share these articles and blog posts via our social media channels such as Facebook, Twitter and LinkedIn, as well as via our popular monthly newsletter, which currently goes out to over 6,000 publishing professionals around the world. This newsletter is not focused on promoting our titles, but indeed on providing news and information about the international publishing scene. This transparency is greatly appreciated among our peers.